Remember when I celebrated my 1000th gift a couple of weeks back??? Well I had to signify it even more with a layout to celebrate that feat. The Weekly Designer Challenge by Maggie Holmes at StudioCalico was to create a layout based on a daily routine. This for me is a fairly important daily routine. So the layout was a real breeze. I am trying to finish up the CentralHigh kit from September. I loved how these colors pulled out the tones from my Instagram pic. I love using Instagram pics on my layouts. 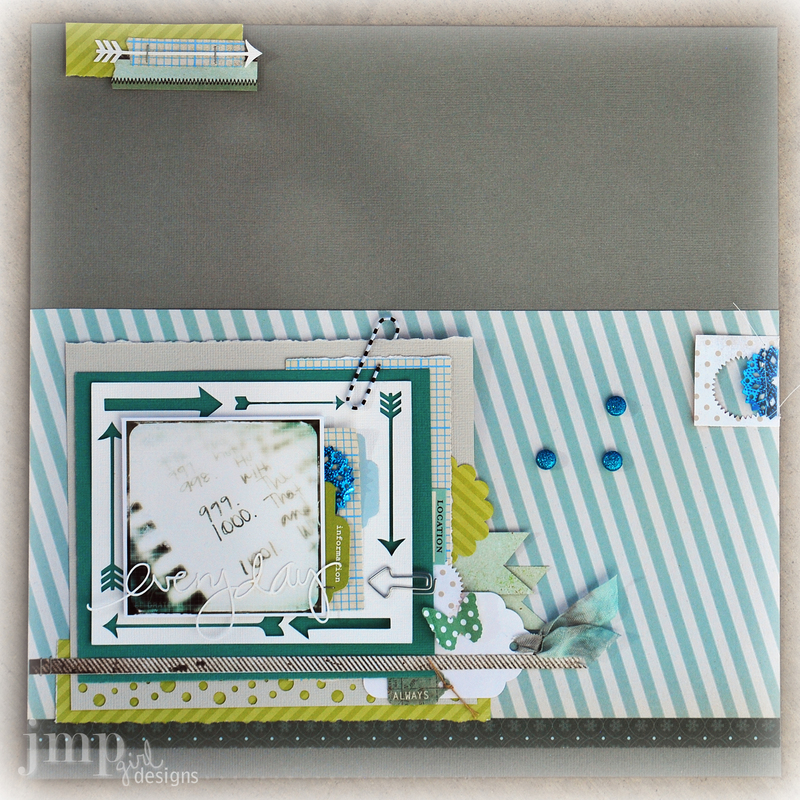 You can also see a few peeks for some HeidiSwapp product too. The 'b' side to BeautifulSongs is that great teal and cream polka dot. And then I am always reaching for MiniTags as well. Is there a daily routine you need to create by way of words.photos.and pretty paper? This is beautiful! 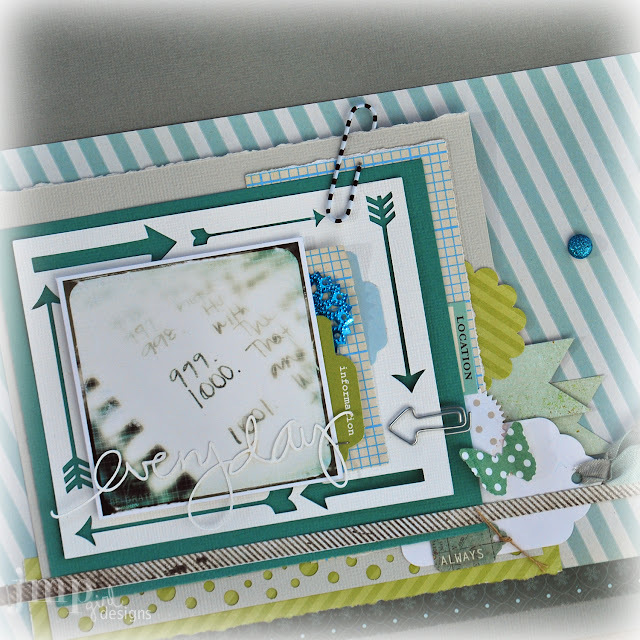 I love the colors and your arrow frame cut is rockin' my arrow-lovin' world!!! 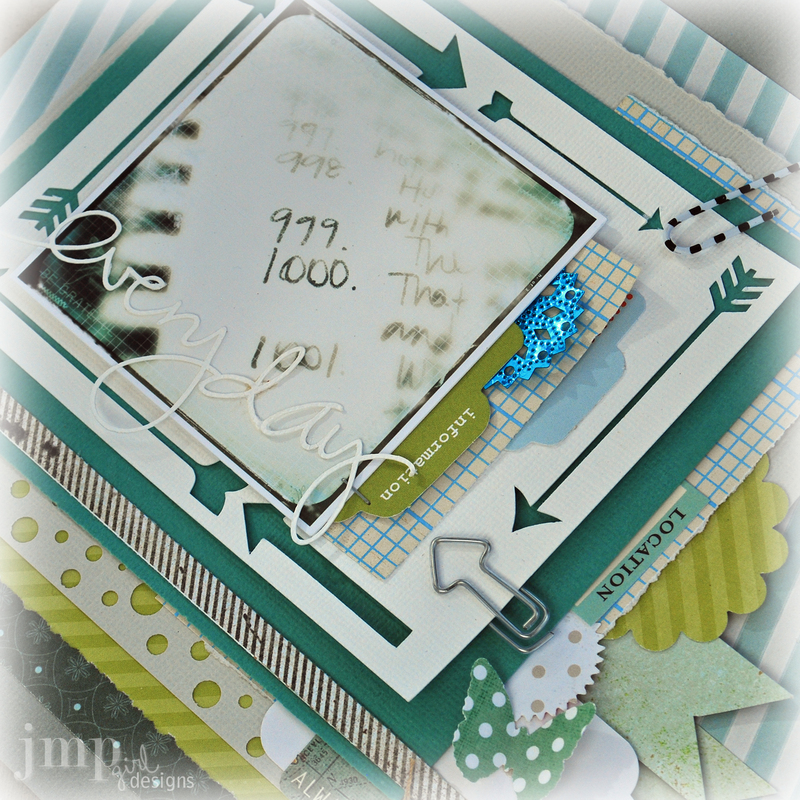 Oh my, the colors and the die-cuts, and the pop of blue... Just beautiful Jamie!!! sigh Jamie this is so crisp and clean looking , STUNNING!